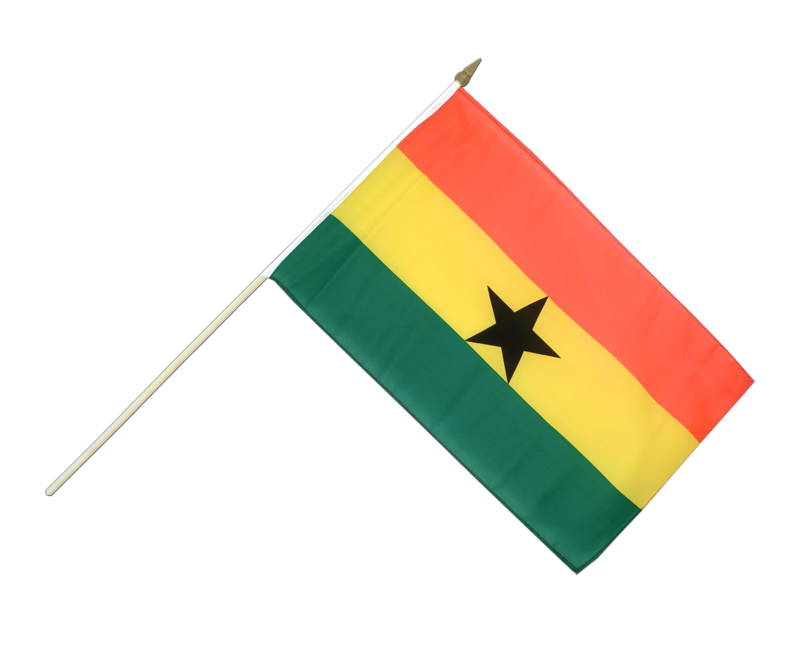 Ghana Hand Waving Flag 12x18"
Ghana hand waving flag in size 12x18" made from lightweight polyester flag fabric. The flag is strengthened by a white pole sleeve on the left side. The other edges are double hemmed and single stitched. A removable wooden pole is included in the delivery. 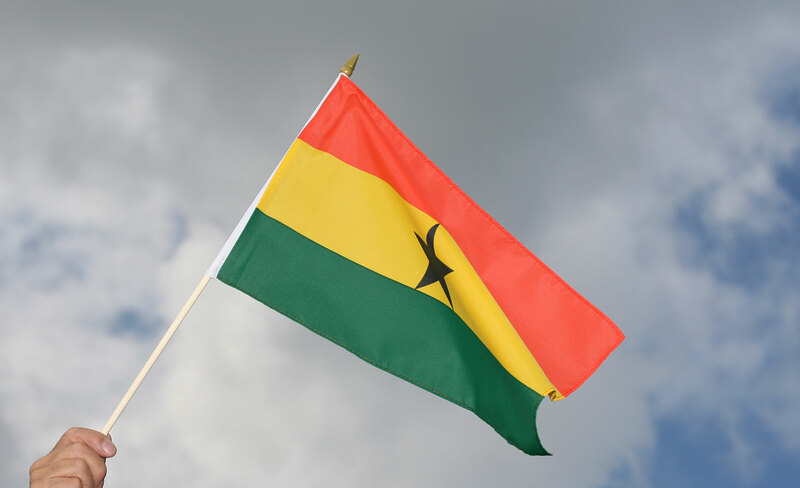 Buy Ghana hand waving flags of outstanding quality at a reasonable price. 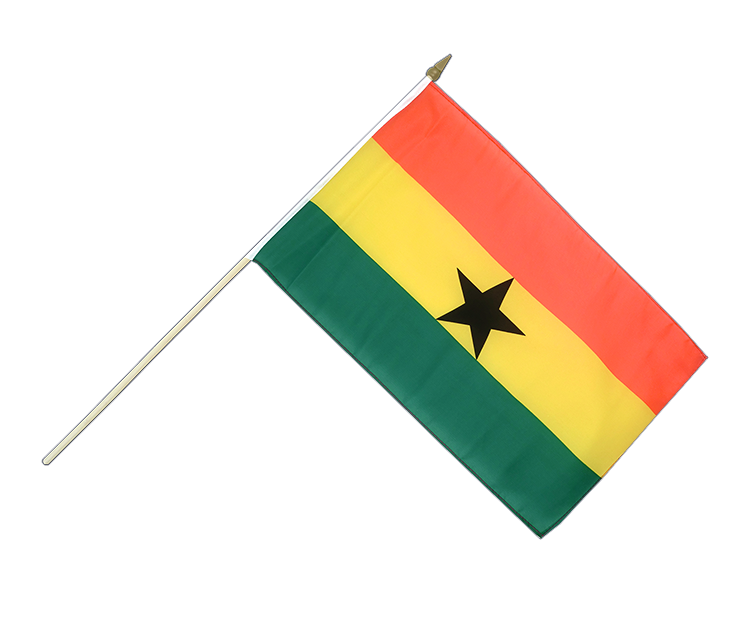 Here you can find all sizes and designs of our Ghana flags for sale. Ghana - Hand Waving Flag 6x9"